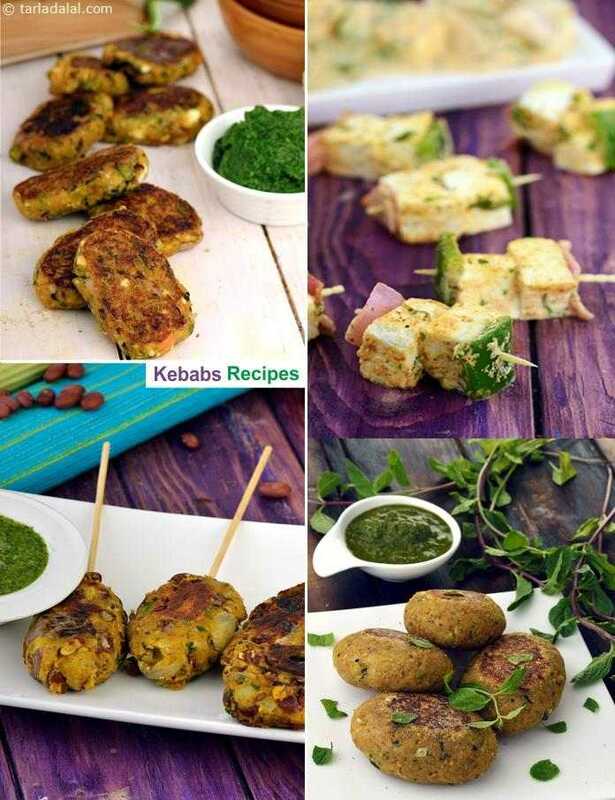 Kebabs, tikkis and barbeques are various forms of patties, made with myriad ingredients like dals, vegetables and sometimes even cereals and fruits. They can be round or oval in shape, and sized as per the requirement. At a garden party, they can be prepared on a barbeque grill, with typical barbeque sauces to add to the excitement! Make your next festive meal or party all the more memorable by adding delightful kebabs and tikkis like the Aloo Tikkis or Vegetable Kebab to the menu. A delicate combination of grated paneer and chana dal, with a faint trace of carom seeds! relish these seekh kebabs with mint chutney and a dip of your choice. Tarla Dalal Hi, Thank you for your kind words. Do try more and more recipes and let us know how you enjoyed them. Happy Coking ! !